Music education lasts a lifetime and we want you to feel great about your choice. 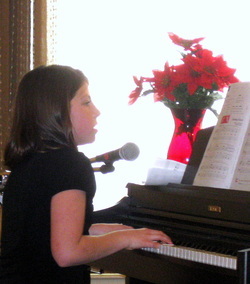 When hiring a piano teacher, it's important to think about what qualities you want in a teacher. Piano teachers can vary greatly and it's a good idea to talk to a few different teachers to get a feel for the style that works best for you. My studio is in Santa Rosa, California in the Sonoma County Children's Music Studio near the public library with convenient parking.